Great news!! If you play Minecraft Pocket Edition/Bedrock that is. We are expected to see the Minecraft PE/Bedrock 1.10 beta this week which will feature shields. This will be the first ever time players have had to ability to use the shields feature introduced to Minecraft Combat update (February 29th, 2016) so nearly 3 years iOS/Android players have had to wait. We are quite sure how shields are going to work on the handheld version as the only screenshot we have is the one shown below by the developers 2 weeks ago. 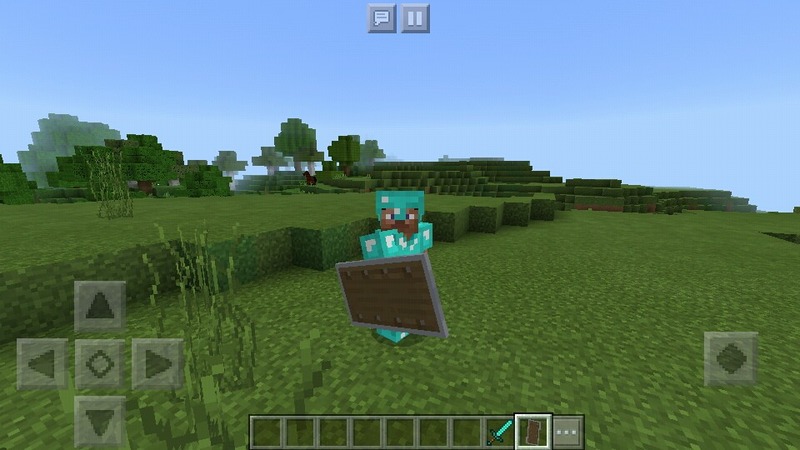 It's rumoured that shields will work with a crouch functionality for bedrock players, this is the balance the combat. This is most likely due to the fact Java will have another combat change some point this year in 2019. 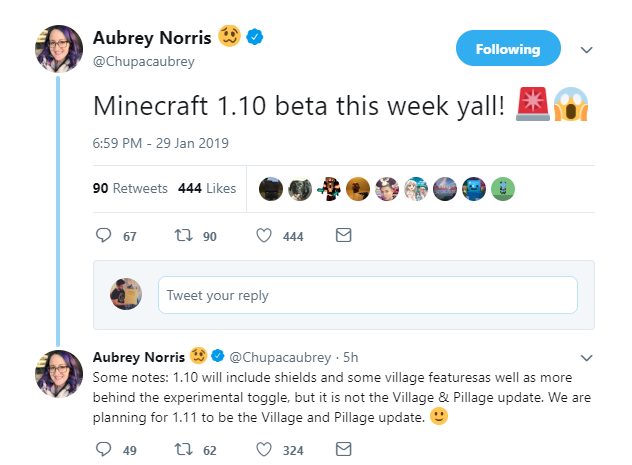 This Information is coming from Aubrey Norris who tweeted out " Minecraft 1.10 beta this week yall! 🚨😱" she the followed that tweet with the following information. "Some notes: 1.10 will include shields and some village featuresas well as more behind the experimental toggle, but it is not the Village & Pillage update. We are planning for 1.11 to be the Village and Pillage update. 🙂 "
Last edited by ecko; 01-30-2019 at 12:41 PM.